S.A. Eberwein, the author of “Cash Your Investment” — a new addition to the genre of self-help, job-searching books — is no dubious, self-anointed “expert” in the field, but a bona fide insider. In the first few pages, he recounts his experience of touring one of the firms he had been interested in working for; his immediate reflection of “What do I need to do to get a job here?” is probably representative of what a majority of prospective employees would think, in addition to feeling increasingly overwhelmed. Eberwein, an ambitious college senior uncompromisingly bent on getting a job on Wall Street, approached his problem methodically and thoroughly, sending out an avalanche of cover letters, cold calls and tailored resumes. His methods worked. After five years at an investment bank in New York, he moved to Dallas and (presumably) wrote this book, which, despite some overly corporate, noun-heavy prose, offers detailed and intelligent advice on how to transition from being a college student to being a sought-after, white-collar worker. To readers who may or may not have anxiously dabbled — desperate to have someone provide structure to an otherwise inscrutable future — in rational-sounding corners of the Internet (here’s looking at you, Study Hacks), Eberwein’s book will offer both a meticulous breakdown of what you need to do to be competitive and an opportunity to relax: He’s got you covered. No, he really does. He goes over all of the following, giving a mix of standard and unique instruction on each subject: proper attitude, finding and utilizing a mentor, searching for jobs, discerning the merits of on-campus resources, networking, maximizing your internship, cold calling, talking to recruiters, the benefits of working for free (as a last resort), interviewing and the aesthetics of your resume. Though Eberwein is predisposed to focus on examples mostly from Wall Street-type employers and candidates, his teachings seem easily transferrable to other areas of work. There are few things to dislike about “Cash,” but among them are Eberwein’s tendency to repeat his points under the guise of a more insightful rephrasing, the grating use of cliches and the use of language resembling corporate jargon (e.g., the sly surfacings of the word “capacitate” in the early chapters). His book could probably be drastically reduced in page count if he were to edit out such paragraphs like the one in his “Craft a Superior Resume” chapter, in which he takes 108 words to say that resumes are extremely important, even if a potential candidate has been recommended, because it establishes a first impression and because interviewers will continually refer to it. Most of the blame for this could probably be directed at his editor, since according to his employment history, Eberwein’s area of expertise is not writing. 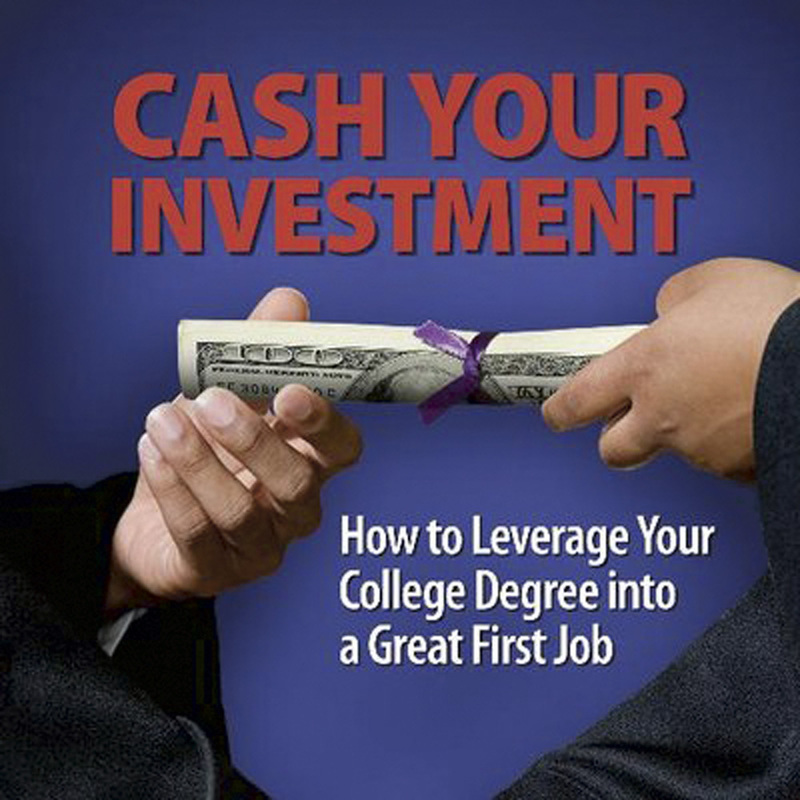 However, where Eberwein does draw from his experience, in his detailed how-to for obtaining an enviable job, he provides the best argument for why this book is a smart investment for any future-looking student.